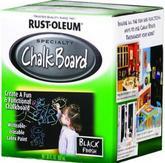 Converts surfaces into a usable chalkboard. Apply to metal, wood, masonry, drywall, plaster, glass, concrete, unglazed ceramics and hardboard. Also available as spraypaint. We're always adding new products to our inventory. Featured are just a few of the new items we've added lately. Search our online catalog to see what we can get through our primary supplier. Can't find what you need? Let us know! Rubberized protective utility coating fills and seals leaks and cracks. Provides a water-tight, flexible seal that prevents moisture penetration, rust and corrosion. Dries to a semi-smooth, firm finish that will not sag or drip and can be painted. Walk more confidently on packed snow and ice with the ultralight, easy on/off, spikeless, patented coil design walker that slips on over the soles of your shoes or boots and conforms to them. Over 20 Duck Tape colors/designs for all of your projects. This First Alert 4 Channel DVR with 4 Wired Cameras has an H.264 4 Channel DVR with 320 GB Hard Drive. Great for monitoring and recording your home or office.